We supply chickens that have a rich diverse diet in a naturally healthy setting. Chickens raised to be naturally healthy scratch and forage in the earth to include insects, grass shoots and leaves, grubs and pebbles in their diets. This natural foraging compliments a nutritious ration so they get the additional micro-nutrients, exercise and enrichment they need for strong immune systems and good health. My Farm Shop chickens are supplied by Hillside Pastured Farm. These conventional breed free range chickens come from Hillside Pastured Farm - a regenerative, vertically integrated farm. These birds are full of flavour (and definitely not the stuff that those factory farming producers pump in along with water and other chemicals as part of the conventional processing system - ugh!). 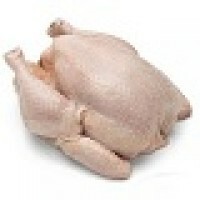 Chicken Breasts (pack of 2) - 300-450g, 450-600g, 600-700g @ $29.00 per kg. Pack of 2 chicken breasts (skin-off) from Hillside Pastured Farm genuine free range chickens. Chicken Drumstick Fillets (pack of 6) - approx. 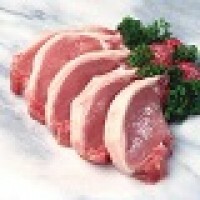 450-650g @ $27.00 per kg. Pack of 6 bone out chicken drumstick fillets from Hillside Pastured Farm genuine free range chickens. Chicken Drumsticks (pack of 4) - approx. 450-550g @ $22.50 per kg. Pack of 4 chicken drumsticks (bone-in) from Hillside Pastured Farm genuine free range chickens. Chicken Thighs (pack of 4) - 500-600g, 600-700g, 700-800g, 800-900g @ $28.00 per kg. Pack of 4 chicken thighs (bone-in) from Hillside Pastured Farm genuine free range chickens. Chicken Wings (pack of 6) - approx. 650g-850g @ $19.50 per kg. Pack of 6 full chicken wings from Hillside Pastured Farm genuine free range chickens. Chicken Feet - in bags of approx. 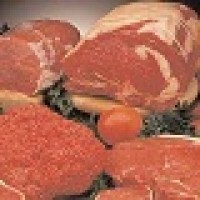 500 @ $8.00 per kg. The chickens we supply come from Hillside Pastured Farm - a truly regenerative free range operation. These birds are full of flavour (and definitely not the stuff that those factory farming producers pump in along with water and other chemicals as part of the conventional processing system - ugh!). Chicken Frames (pair) - approx. 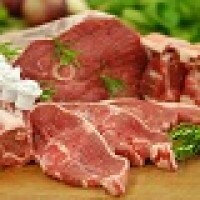 800g-1kg @ $11.00 per kg. Perfect for making stocks and broths, the frames (carcasses) are from Hillside Pastured Farm genuine free range chickens. Chicken Livers - in bags of approx. 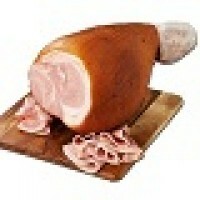 300g @ $21.00 per kg. One of the hottest tickets in town, it takes quite a few chickens to produce a bag of livers, so grab them while they are available. 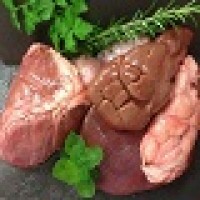 Chicken necks - approx.400-500g @ $11.00 per kg. Perfect for making stocks and broths, the necks are from Hillside Pastured Farm genuine free range chickens.